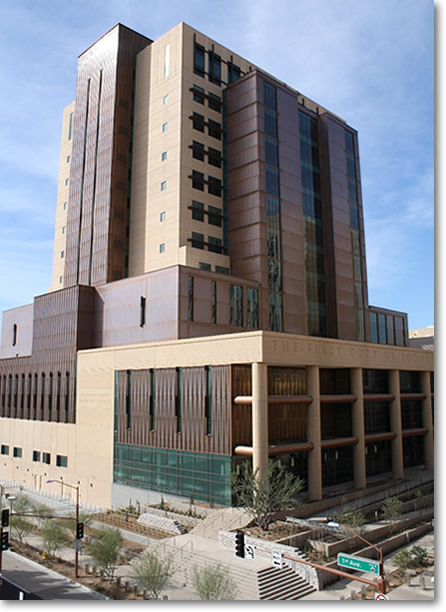 Looking for the South Court Tower location of the Superior Court of Arizona in Maricopa County? Click here to view the South Court Tower’s map location. Do You Need to Appear at the South Court Tower? If you’re facing criminal charges in Maricopa County, we invite you to contact us for a free case review. You’ll speak directly with one of our defense attorneys, who can offer a path forward depending on the circumstances of your case. A criminal conviction can ruin your life – but it doesn’t have to. At JacksonWhite, we’re focused on fresh starts, and our high success rates prove how much we’ve truly helped our clients. We’ve helped thousands of people in the Phoenix metro area successfully move forward after being charged with a crime. When you’re ready, we can help you too. Call (480) 467-4370 for your free case review.